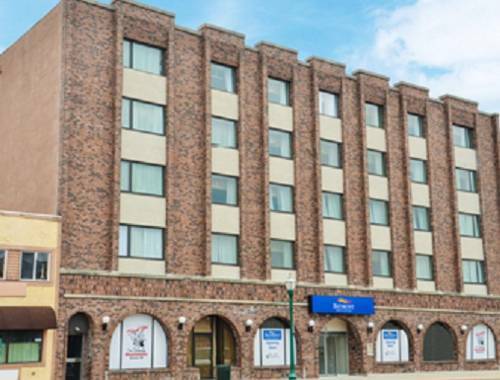 Visit Baymont Inn and Suites Delavan Near Lake Geneva hotel, nearby The Dancing Horse Theater, Phoenix Park Bandshell, Alpine Music Theater, Watsons Wild West Dinner Theater and Western Museum, Staller Estate Winery, Apple Barn Orchard and Winery, Animal Gardens and Calladora Spa. Amenities include complimentary continental breakfast, business center, 2 meeting rooms, gym, and rooms with complimentary wireless internet access and TV. Nearby businesses are SPX, Pentair, Plant Essentials and Better by Design. Restaurants are within walking distance or a short drive. ADA Defined service animals are welcome at this hotel. Sorry, no other pets are allowed.